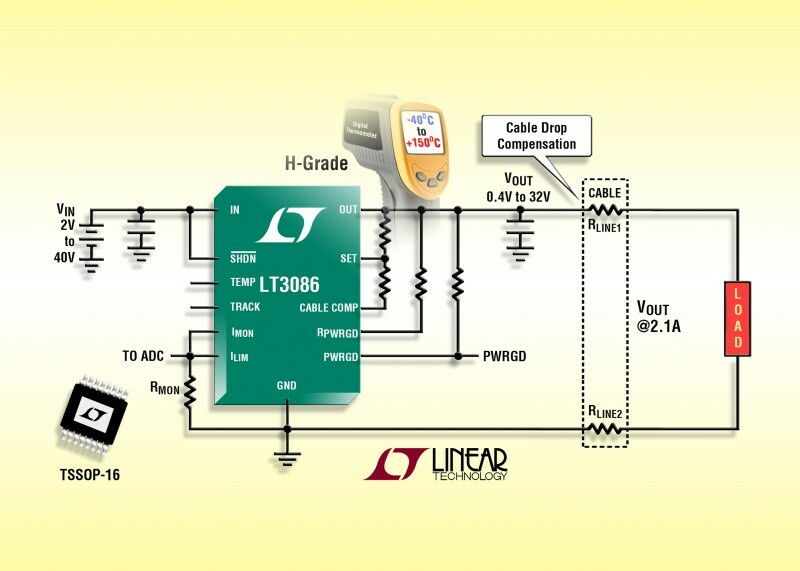 Linear Technology Corp. recently unveiled a new higher temperature “H-grade” version of the LT3086 in the TSSOP package. The 40-V, 2.1-A low dropout linear regulator (LDO) includes current monitoring with externally settable current limit and temperature monitoring with external control of thermal limit temperature. It comprises a programmable power good status flag, cable drop compensation, and easy paralleling. The current reference provides regulation independent of output voltage.